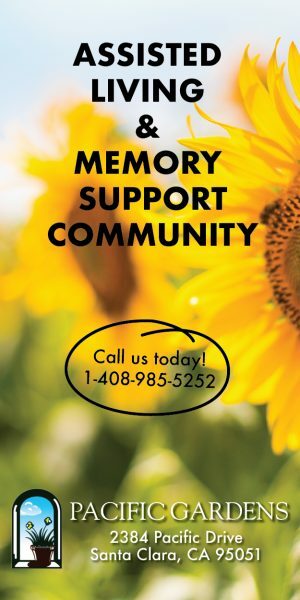 The Sunnyvale Dept. of Public Safety (DPS) has arrested two men accused of credit card skimming at the World Gas Station on West Maude Avenue. Officers arrived at the station just before midnight on Oct. 11 after a witness reported seeing the men tampering with the credit card readers. Officers say Artashes Gasparyan of Glendale, CA and Richard Matthew Hernandez of Rialto, CA were applying electronic skimming equipment to at least one of the pumps. Both men were arrested and charged with a number of crimes including possession of a skimming device and conspiracy. Their vehicle was found nearby and taken in as evidence. The Sunnyvale DPS is still trying to determine if anyone’s personal data was compromised. Officers say it’s important to be vigilant when you pay at the pump. According to the Federal Trade Commission (FTC), there are a few ways to tell if a pump’s credit card reader is compromised. First, check to see if the panel is closed. Most stations put security seals over panels to prove the reader is okay. If the seal is broken, it will read “VOID” and you should avoid using that pump and alert a station attendant. You also want to look at the card reader. A skimmer can alter the appearance of the credit card reader. If you’re not sure, try to wiggle it. If it moves, report it to a station attendant. The FTC says you can also take steps to protect yourself. Always use your debit card as a credit card so your pin number is not compromised. When possible, pay at the pumps closest to the station attendant because those are easier to monitor and less likely to be tampered with. And, if you’re really worried, you can always choose to pay inside. Capt. Hunter says it’s important to keep close tabs on your credit card accounts and bank accounts so you will be alerted immediately if there is some fraud. “Paying attention to your statements and utilizing the electronic alerts that are available [is important],” said Capt. Hunter. 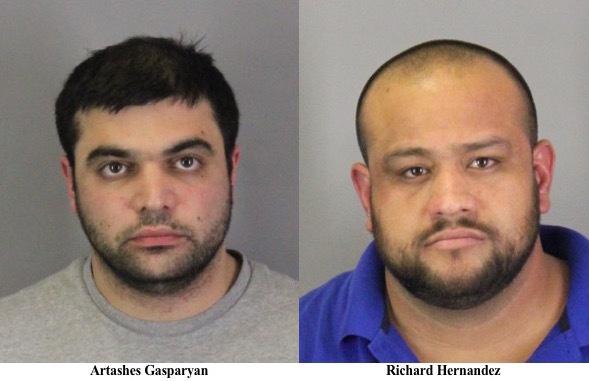 Gasparyan and Hernandez were booked into Santa Clara County Jail. A court date is pending. If you have additional information about the suspects or the case, you can contact Sunnyvale DPS Investigations Unit at (408) 730-7101.